Here is an opportunity for enthusiastic photographers to hone their skills while on location in one of the world’s most photogenic settings, Vietnam. This 9 night voyage onboard the expedition ship Orion II includes visits to no less than 4 World Heritage sites - Hue, Hoi An, My Son and Ha Long Bay - providing ample opportunity to capture the cultural, historic and geographic diversity of Vietnam. In association with Better Digital Camera magazine, under the knowledgeable guidance of internationally recognised photographer Nick Rains, this voyage is designed to appeal to photographers of all levels – while not forgetting their partners (whose interest in the finer points of photography may well be less enthusiastic!). The voyage commences following a night onboard Orion II berthed in the heart of Ho Chi Minh City – the perfect location from which to explore this bustling city – and includes Hoi An’s Colonial Quarter, with its French influence, and the exquisite Hindu temples of My Son, so old they pre-date Angkor Wat. 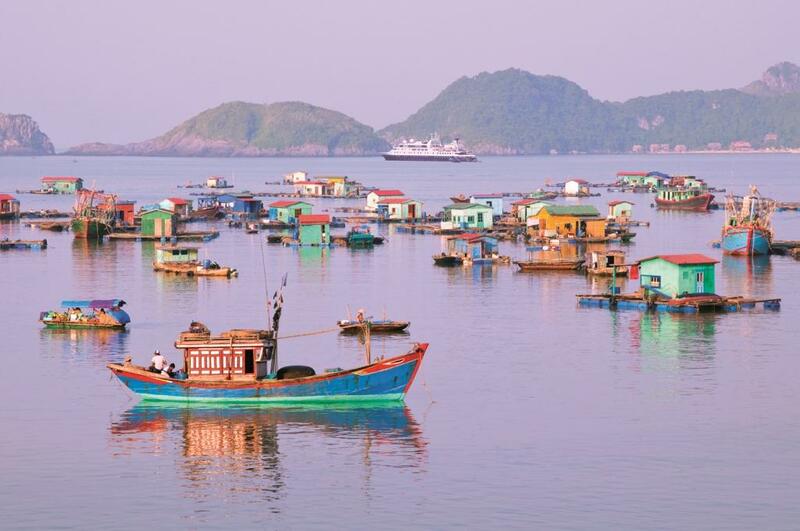 Whether it is the organised chaos of the Saigon River, busy with sampans, exploring the traditional fishing village of Baie de Cu Mon, rarely seen by outsiders, exploring Nha Trang’s Communist Party headquarters, or the beach brewery and $1 lobsters for lunch, this voyage will deliver an unmatched range of graphic photo opportunities. Nick will be holding regular workshops onboard before taking you on location along with members of Orion’s specialist expedition team. His travel photography workshops include professional advice and instruction on understanding and optimizing camera settings, selecting the best lens for the occasion, framing your subject and ‘capturing the moment’ along with instruction on the dark art of digital editing-software and printing. Explore, experience and shoot from dawn to dusk, then relax, compare images and enjoy superb cuisine, wines and company by night onboard Orion II. Examples of images from Nick Rains’ earlier visits to Vietnam are available for reference at http://www.nickrainsimaging.com/p576535241 Please attribute to Nick Rains if using any of these images. 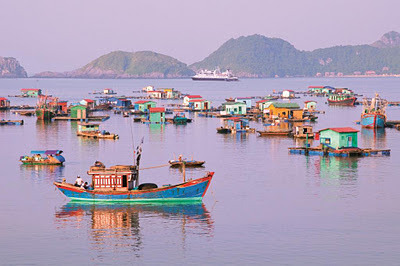 Orion II’s 9 night Vietnam Explorer photo expedition departing 30 March 2012 Ho Chi Minh City to Haiphong (for Hanoi) includes Nha Trang, Baie de Cu Mon/Bai Nam Beach, Da Nang (for My Son and Hoi An), Chan May (for Hue), Ha Long Bay & Cat Ba. International Photographer. Nick Rains, studied Zoology at university in Britain which led him to a career in photography. Over the years Nick has worked with the Australian Tourism Commission, Tourism NSW, Penguin Books, Readers Digest Books, Shell Petroleum, BBC TV, Sports Illustrated, World Heritage Commission, Australian Geographic plus many more. He is involved with teaching and writing and is the editor of Better Digital Camera magazine.